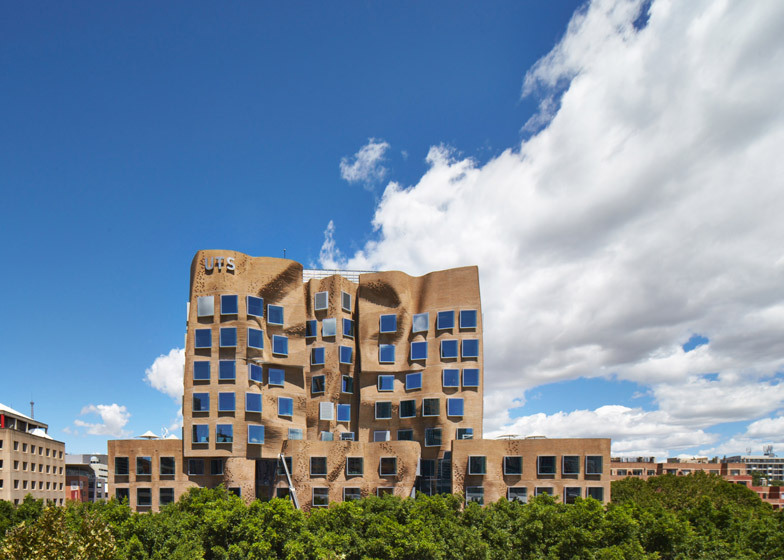 Featuring over 300,000 custom-designed bricks, the latest work of one of the world’s most famous architects is an impressive feat of engineering, but hard not to compare to a crumpled grocery bag. 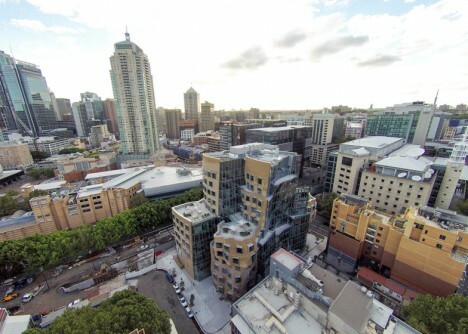 Even Australia’s governor general Peter Cosgrove introduced it as “the most beautiful squashed brown paper bag I’ve ever seen” at its opening ceremony. 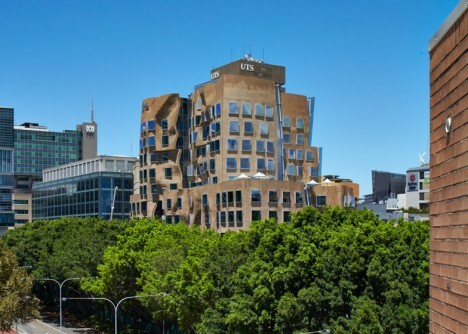 Gehry himself reportedly does not mind the comparison, but there is not much he could do or say about it even if he did. 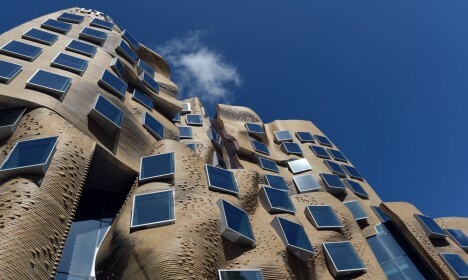 Gehry’s first work in Australia, the structure’s inspiration supposedly came from a combination of local sources (Sydney architecture) and a treehouse, with branching supports holdings organic shapes. 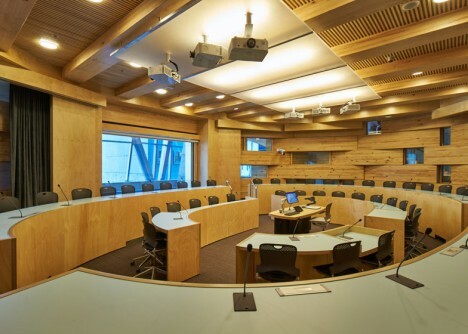 Its fenestration is designed to reflect views of the surrounding neighborhood – this, at least, is an intriguing idea that has a demonstrable and interactive effect. 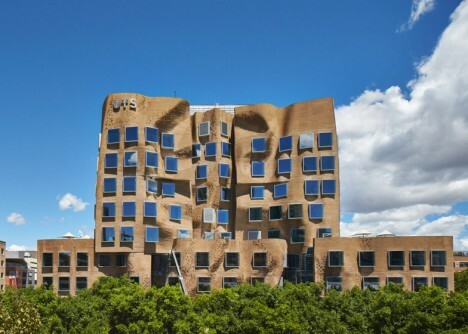 While Gehry states that this building will not be replicated elsewhere, it is quite recognizable as his work, and thus raises the question: is it sufficiently different from his other amorphous and sculptural buildings to be deemed truly unique in the first place? 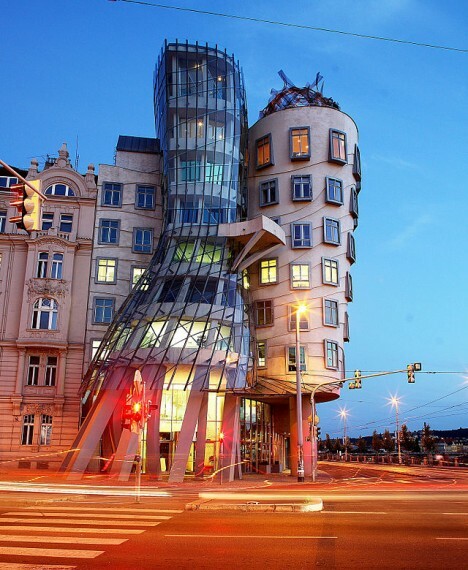 The resemblance to one half of The Dancing House (aka Fred and Ginger), a nickname given to the Nationale-Nederlanden building in Prague (shown above), is hard to miss. 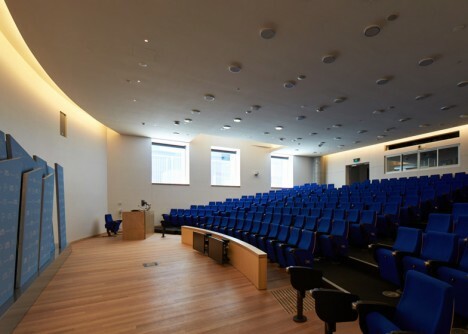 The complex and chaotic-seeming shapes percolate into the interior as well, showing via details and spatial configurations in the main atrium space, multiple lecture halls and multimedia rooms and a student center above. 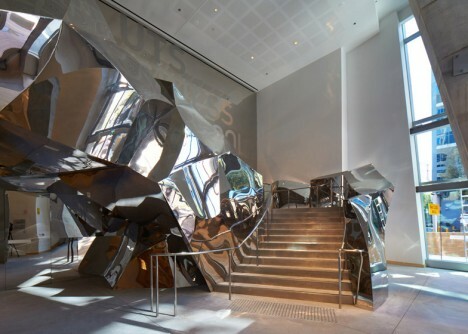 Ugly or lovely, a grand metallic entry staircase is also reminiscent of other Gehry projects. Ultimately, only time seems to tell whether an unusual building can become an icon, but one has to wonder whether something can become iconic if it is not sufficiently different from other work by the same creator. Perhaps one of his few works to still stand out (and stand the test of time) remains his original Santa Monica house remodel – a reconfiguration that shows a learning process that has arguably since stagnated. 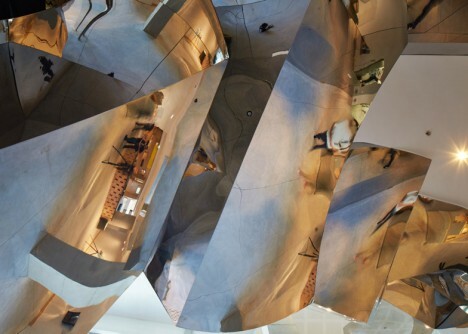 There is no doubting his influential roll in contemporary deconstructivist architecture, but he has had failures and rejections as well and his projects increasingly look like muddled remixes of one another.